Ben Alagnam: How Did I Create the Authoritative Blog? How Did I Create the Authoritative Blog? 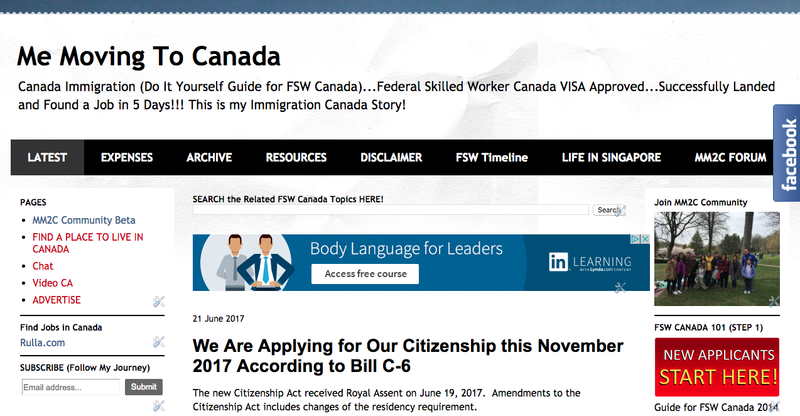 Five years of my Overseas Foreign Worker (OFW) life, I realized that I had been posting several articles. That was more than 300 in all and counting. I still read some old ones to see how I was doing back then. Some are badly written, sometimes misspelled, and nonsense. Even today, I still have those imperfections. But, it didn't stop me from doing what I love. On 2009, while browsing the internet, I saw a post from a friend in Facebook. The post was about him blogging and earning few dollars. He showed a photo of the check and I was amazed. I didn't think that it was possible to earn using the internet. I was clueless! Little that I know, I was already a stalker on his Facebook profile trying to figure out what he was doing and how he did it. I was shy to ask him, for some reason. While lurking on his site, he mentioned a blogger's name that caught my interest, so I started following that blogger. The blogger's name is Macuha. His site introduced me about monetizing websites and how to attract readers. He served as the medium for me to learn more about the blogging world. As I browsed his site, I was introduced to other bloggers as well and it propagated. But sad to say, he pivoted on selling MLM products and wasn't active for some time. Macuha then mentioned another blogger, who happened to be my classmate. That made me more interested! 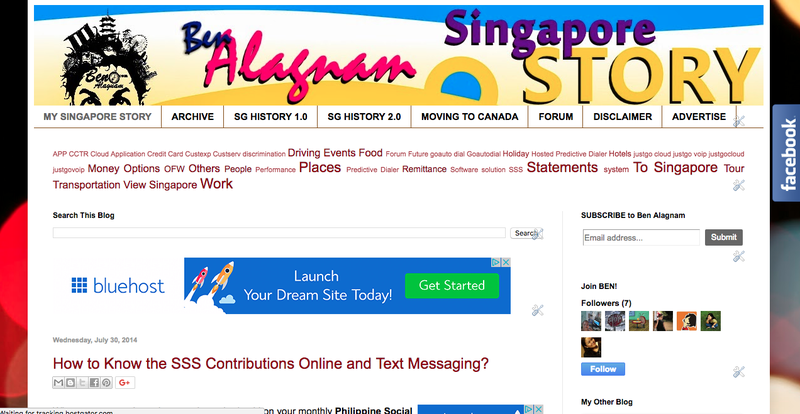 Fired up to do blogging more, I was inspired to create my own website, just like my classmate. This time, I created my very own blog http://greenthumbwit.blogspot.ca/. The thought of having one is overwhelming. The blog was not intended for a certain topic, it was totally random. If you read my posts, you'll notice that it has a different style of writing. That's what I get when reading Harry Potter and Lord of the Rings books, inspired by JK Rowling and JRR Tolkein. My very first blog. That's my hand shown on the photo. The blog didn't work out well. It was probably because of the domain name that people can't relate to it. I left it as is to remind me of my first ever blog! The land of sands, UAE, was my first attempt. It didn't work out well, went back home in Manila and started all over again. Second attempt was in Singapore and that was the start of my "blogging career". Longing of having my own serious blog, I decided to create BenAlagnam.com. It was hosted in Blogger but I bought my own domain name. While working in Singapore, I told stories of my journey to the land of the Lion! From preparing my flight and issues in the airport to things on how to go around the country and have some fun. I soon noticed that I had more readers when I write procedures on certain processes, like going to the Philippine Embassy and how to get public documents. Learning those things helped me create more authoritative posts. Readers are now actively asking about my experiences and advices. Working in Singapore is temporary, that is true when you're away from your family. It won't last, it's either the love or career will. I needed to choose, and I opt in to LOVE and career will follow. I was thinking if should I stay in Singapore, get a PR and be a citizen, but the former is difficult. I need to have a salary grade of over SGD6,000 to sponsor my family, probably achievable in a managerial position, and that is near impossible! Should I go back home in the Philippines and do business? I'll be starting from scratch and will deplete my resources in a few months without customers. Move to another country, CANADA! I will start from scratch, but, at least hospitalization is free. Well, obviously, I chose the latter. While I was applying to immigrate to Canada, I started the blog, MeMovingToCanada.blogspot.com. It was hosted in a free hosting site, Blogger. Although it's free, it has limited features to create a more dynamic blog. Since it was just a start of another blog, I decided to take it. 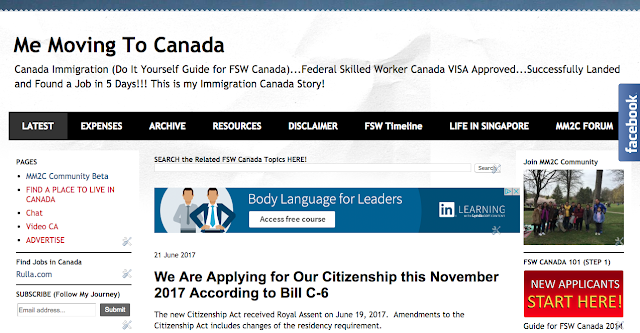 Readers started to flood my posts with comments and questions regarding the steps on how to apply for immigration. It inspired me to blog more and that grew to a healthy blog, should I say. The Membership Site Was Born! As my "healthy blog" was growing, I started thinking on how to monetize it more than just Google Adsense. So I created my youngest baby, MeMovingToCanada.com, named it MM2C for short. This time, it's hosted in a premium site, where I have a yearly fee. Given that the name is what I wanted, I liked it a lot but it comes with a premium. Some of its posts are protected by a membership tier. There are three tiers, LITE, GOLD and DIAMOND. If readers want to access the site, a membership is required. To learn more about the site. Visit the link here... https://www.memovingtocanada.com/membership-account/membership-levels/. Today, I'm maintaining 3 blog sites and enjoying it a lot. Tell your story - People love stories, even as young kids, you're always excited to listen to stories. Be honest on what you advice - Let them know if you're not sure of your answer and get back to them once you have it. Get their attention - Don't just tell your a story. Give them key informations around the story, like giving them tips and how to's. That's all for now, if you want to learn more about blogging, monetizing website and membership sites, leave your comment below. 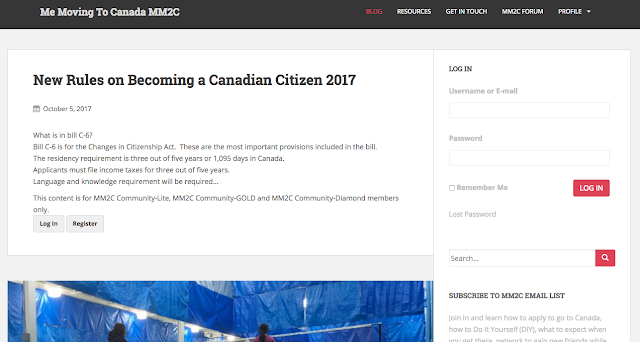 Here is the membership site. I would appreciate it a lot if you click the LIKE button below this post.